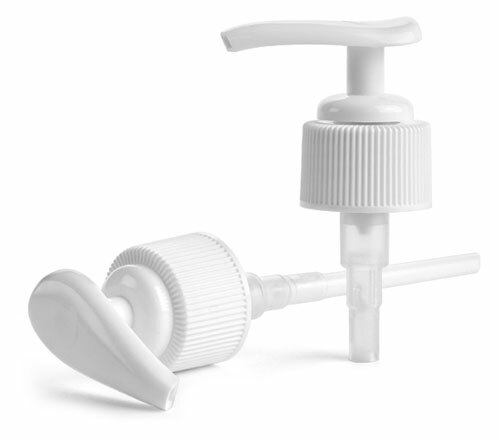 The white polypropylene lotion pumps allow for high viscosity products such as lotions and liquid soaps to be easily dispensed. Each pump dispenses 0.5 ml of product per stroke and features a metal-free fluid pathway. A locking slot concealed within the lotion pumps head keeps the pump securely in the locked position until released - pumps are shipped in locked position. 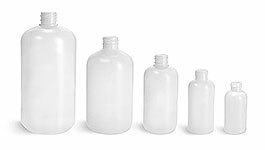 The white lotion pumps could be used with glass, plastic or metal containers. 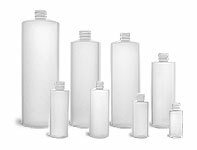 Be sure to test lotion pumps with your container to ensure proper compatibility.